Authenticity is key in creating a welcoming place to welcome guests into. If you try to be someone you’re not, you will project that experience to your guest. If you are transparent and honest, it will open the door for your guest to do the same. Between Pinterest and the internet, we have so many ways to craft our attitude and home in a way that works for someone else, but isn’t true to who we are. It’s ok to get ideas from other people, but it’s so important to take those ideas and craft an experience of hospitality that truly embodies who you and your family are. Be the best you that you can be and give from the heart, even before a guest enters your home. If you invite someone into your home with the intention to bless them, and not just because you want to show off your home (I’ve been guilty of this), they will leave feeling rejuvenated and blessed. When my husband and I moved into our current apartment, we decided to pick a word that described how we want people to feel when they enter our home. The word is “peaceful”. We decided that we want our home to be a place of refuge and peace for those who enter. I never imagined the impact that this intentionality would have. Many people have come and gone from our home saying that exact thing… without either of us saying a word about our hospitality intent. This intent drives how we organize our home to the experience that we create even before a guest arrives. A question you can ask yourself is, “how can I bless [insert name here] today?”. Life happens and often times our home is the first place that reflects how we are spending our time. For some of us, keeping a clean home is essential, for others, it’s the last thing on their mind. I believe there is a healthy harmony between the two ‘a place where guest can feel comfortable’. Not like they stepped into a “sterile room” and not a place where you are picking toys, shoes, and jackets off the floor just so they can come in the door. It’s ok for your home reflect the fact that your family lives there. This experience can still include a place for all these things we use on a daily basis. Making room for guests also involves your schedule (How to Give the Gift of Being Present). We are rushed and busy. Being hospitable involves knowing when it’s time to serve and when it’s time to simply listen. In our American culture, offering food/snacks and a beverage is considered a kind gesture when someone enters your home (How to Organize Your Coffee/Tea Cupboard for $15 or Less). Whether you serve the guest, or welcome them to “make themselves at home” by serving themselves, may depend on how well you know them. Running around collecting food/drinks and ignoring the guests you are trying to serving is prioritizing busy and not being a blessing. How can you prepare in advance to be fully present with your guests? Question: What one specific thing can you change to bring intentionality to your hospitality experience? 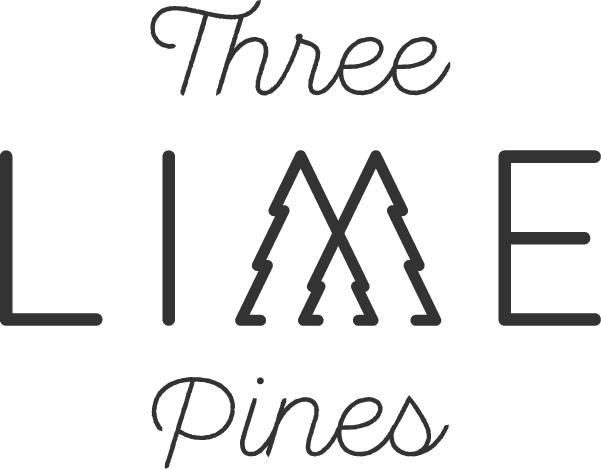 I’d enjoy hearing about your hospitality experience: hello@threelimepines.com, or in the comments below. I LOVE the idea of having a word that helps create your goal for your space when you have visitors and even just for yourself and your family. Thanks for bringing this to mind with the holidays quickly approaching! Hey Brooke, You’re welcome!! I’m so glad you enjoyed the post and found it inspiring for your hospitality this season!